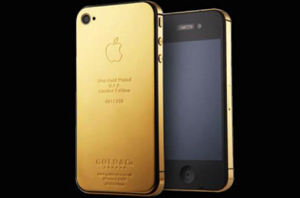 Having the iphone, blackberry or the tablet gold plating is a luxury. The interesting thing about the proposal is that Gold & Co works very exclusive limited editions always offering. His first clients are listed between Arabia, Jordan and Hong Kong. This proposal is not necessarily a pretty jewel replacement but a good complement.